and islands in the Indian Ocean; and the impact of tourism on the East African environment. Africa; the economy of East Africa; understanding ethnic and gender inequities in East Africa. societies; the case of Uganda as an example of an East African country that has been successful in reducing its percentage of HIV/AIDS infected people. The purpose of Module Nineteen is to introduce students to the region called East Africa. East Africa is a vast area encompassing the countries of Sudan, Eritrea, Ethiopia, Somalia, Djibouti, Kenya, Tanzania, Uganda, Rwanda, Burundi, Seychelles, and Comoros. As with other regions of Africa (see Introduction to Module Twenty: Regional Perspectives ), the countries that are included in East Africa can vary somewhat depending on whom you talk to. Some of the countries listed here can also fit into the regions of Central, Southern, or Northern Africa. But for the sake of this module, we will refer to East Africa as the twelve countries listed above. Activity One: The Region Called East Africa gives a brief overview of the history of the region, highlighting human origins, early kingdoms, trade routes, European colonialism, and postcolonial states. 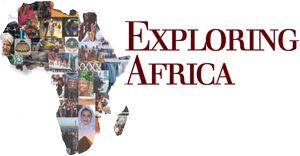 In this activity, students should get a sense of the rich history of this region and its connectedness to other regions in Africa and the rest of the world. The activity ends by discussing intra-regional political and economic organizations in East Africa, giving COMESA as one example. Activity Two: The Geography of East Africa deals with some of the geographical differences between East African subregions. The region of East Africa can be further broken down into three subregions: The Horn of Africa (Sudan, Eritrea, Ethiopia, Somalia, and Djibouti), the Great Lakes Region (Kenya, Tanzania, Uganda, Rwanda, and Burundi), and islands in the Indian Ocean (Seychelles and Comoros). The different vegetation, water availability, topographies, and population densities in these regions are discussed. Also, the impact of tourism on the East African environment is discussed. In Activity Three: Culture, Society, and Production in East Africa , students are introduced to two examples of the many cultural traditions in East Africa. The first is music and dance in Seychelles, and the second is the Ethiopian Orthodox church. This is followed by a discussion of the effects of the IMF and World Bank on East African economies, giving the situation in Sudan as one example. Finally, students are introduced to the concept of power and social inequalities in societies. In this section, gender in Eritrea and ethnicity in Rwanda are discussed as examples of how social inequities and power imbalances emerge and are negotiated in societies. Activity Four: HIV/AIDS and Social Change in East Africa discusses the impact of HIV/AIDS on the world, and East Africa in particular. Uganda is given as a case study of an East African nation that has been able to tackle the HIV/AIDS epidemic head on and greatly reduce the percentage of people in its country with HIV/AIDS. What countries are included in the region of East Africa? How has East Africa been connected to other parts of Africa and the world throughout its history? What regional connections exist within East Africa? What geographical differences exist in East Africa? How have different geographies affected different ways of life in East Africa? How has tourism affected the environment in East Africa? What kind of cultural and religious diversity exists in East Africa? How does the economy operate throughout East Africa? How can we understand the marginal position of women and certain ethnic groups in East Africa? What is the impact of HIV/AIDS on life in East Africa? How has HIV/AIDS been dealt with in Uganda? A clearer understanding of the concept of region and how this concept is articulated in East Africa. An appreciation for the importance of history, environment, and social factors in constructing the region of East Africa. The ability to assess the factors that have led to change within the East African region. The ability to think more critically about social and environmental processes as manifested within a geo-political region, East Africa.